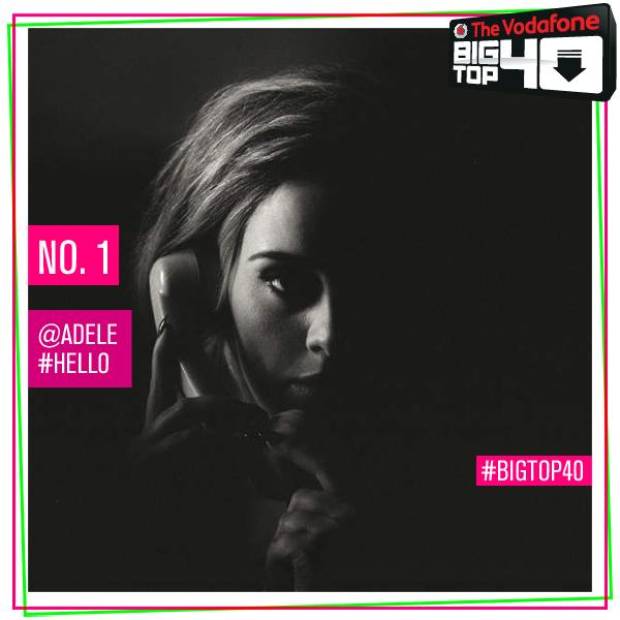 Adele's 'Hello' has arrived and it hasn't taken her long to storm the Vodafone Big Top 40. We've ALL been waiting for a long, LONG time for Adele to make her triumphant return and guess what...she's gone and done EXACTLY that. Since the release of 'Hello', Adele hasn't left the top spot for a single second. We had the lady herself in the studio the moment she found out she had scored the No.1 spot. The singer revealed her love for her fans too! 'I know i'm quiet all the time and i'm not as involved with my fanbase as other artists but you should know I love you'.